The power of comfort, compassion, and care. At 22 years old, it has become normal for years now that I live across the country from my parents, far from the protection I always knew. There’s something about pain, physical or emotional, that turns us all into kids again no matter how big or old we get. When we feel this pain, our natural instinct is to run and find comfort and sympathy in the arms of someone who loves us. Last night, I found myself in the bathroom, crying, as something had gotten so stuck in my eye that my eye was burning and stinging immensely…turning red and bloodshot. Opening or blinking my eye filled me with pain. While I intended to be strong and mature, I had an out of body experience as I felt I watched my 22 year old grown up self go running into the other room and straight into the arms of my fiancé. Not many words came out-I slightly blubbered that my eye was in pain-and he held me and sympathized. I can’t even describe to you how much better I felt simply by having the love and comfort of someone who cared and saw my pain. I could be embarrassed by the fact that I reverted back to a 5 year old version of myself, being wimpy and in need of sympathy, but it was an amazing experience because I saw the power of love and compassion. I began to ponder how God’s love for me is just like that, but even stronger. Jesus wept. God feels. The Holy Spirit lives in us. 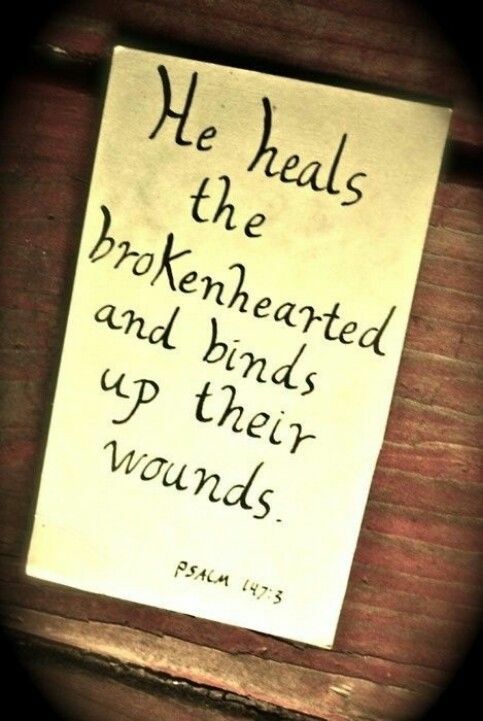 We don’t have a cold hearted God, but a father who is broken hearted over our pain, sad for our tears, and cares with compassion for our hurts. Comfort is powerful…compassion is healing…and caring for others is life changing. We are never too old, too mature, too big, or too grown up to need comforting and care from those around us. 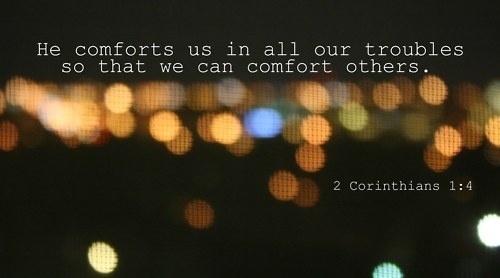 Who can you comfort today with the kind of comfort we have received from our amazing God? Previous postChurch Rescue: A giveaway and exciting new TV series! Next postHappy Half Birthday To Me!!! Rachael, thank you so much for this post. It was just exactly what I needed to hear today! It’s been a rough few days – and I needed that reminder that our Father in heaven is there waiting with those open arms. You’re so right… compassion and comfort really are *amazingly* powerful things! And oftentimes giving it can be just as healing as receiving it.